Unless you live in California, most Americans can’t imagine what it’s like to be in a minor earthquake, never mind a major one. As a kid in Japan, I lived through lots of little quakes. They were no big deal. If the quake seemed serious or went on too long, we’d simply go outside and wait. But there was never a major quake when I lived in Japan. In the 1990s, on a trip to Japan with my mother, an earthquake hit just after I checked into a hotel in Sapporo. I was hanging up shirts and jackets in the closet when they started swaying. We were on the 10th floor so I could feel the building swaying at least two or three feet. I had a flash of fear, and opened the door to the room and wedged myself in the doorway as a safety precaution (I think it’s something I remembered from my childhood), but I knew if the building collapsed standing in the doorway wouldn’t help. I looked out the door, and no one else seemed as concerned as me, except my mom poked her head out of her room. As it turned out, the temblor didn’t cause much damage in Sapporo, the largest city in the northern-most Japanese island of Hokkaido. But two days later when we arrived in Nemuro, my mom’s hometown at the easternmost tip of Hokkaido, we saw the power of the “jishin,” or earthquake. Roads were humped up in the middle and the pavement split like the top of a loaf of bread, and in the town’s cemetery, my grandfather’s memorial had crumbled into a pile of rubble. But life went on as normal. Luckily there were no casualties from that quake, and there was no tsunami that followed in its wake. The Great Tohoku Kanto Earthquake, which is now what the Japanese call the March 11 disaster, is the strongest earthquake in the country’s recorded history. That’s saying something for a country where quakes are so common there are established rules for what you’re supposed to do when they strike, like people in Kansas are taught from childhood what to do if a tornado touches down. The fortunate (if that’s the word) thing about this quake is that it struck off the northern coast of Japan, not east of Tokyo. It’s unimaginable what kind of devastation it could have caused if the quake had been closer to Tokyo. As it is, there was some damage in the capital but not to the extent of the Great Kanto Earthquake of 1923, which demolished much of Tokyo, or even the Great Hanshin Earthquake, which was a lessor temblor but killed over 6,000 people in Kobe. Although the tsunami hit in a more rural part of Japan, the damage and the human cost is enormous. I’m sure when the final tally is in, the death toll will be over 10,000. It breaks my heart to think of the entire towns close to the northern shore that were simply washed away by the tsunami. I watched in horror when I first saw the email breaking news alerts about the earthquake and tuned in CNN. The footage was terrible, and yet difficult to turn off. The power of nature to overwhelm human endeavors is incredible, and truly awful. So my main sources for coverage have been news media from Japan, thanks to the Internet. My favorite is Yokoso News, a project of Katz Ueno, a Japanese man who was educated in LA and normally uses Yokoso News as an outlet for cultural news and education about Japan for Westerners. His dogged determination to translate every news development from Japanese to English in real-time on his site’s video livestream has been absolutely heroic. He originally was on the air for 18 hours straight, then took a couple of hours off to sleep, and has been on mostly nonstop since. At times he’s been joined by a woman calling herself “Ema” who lives in Tokyo (Katz is based in Western Japan, far from the quake’s epicenter) using the Internet video phone service Skype. Ueno has been reading the latest news as he sees it for 14-hour stretches, and has been answering questions people post to him via Twitter. He’s been the best source for information, hands-down. I have relatives on Hokkaido, Japan’s northern-most island . One uncle and his family are in Sapporo, which is inland and away from the tsunami. Another uncle still lives with his family in Nemuro, which is on the coast and probably vulnerable. My mom wasn’t able to get through to their phones for a day, but finally was able to connect with her brother. He reported that the tsunami did hit Nemuro, but not with the force that it hit cities such as Sendai. He’s fine, luckily. My mom also has an old friend who lives in Tokyo who has kids about my age, and they’re all fine too. So are a couple of online friends through Facebook and Tumblr, and some friends from the U.S. who had the unfortunate timing of traveling to Japan last week. But that leaves thousands of victims who lost their lives, and many more who lost their homes and livelihoods. It’s hard to imagine what life must be like for those people. 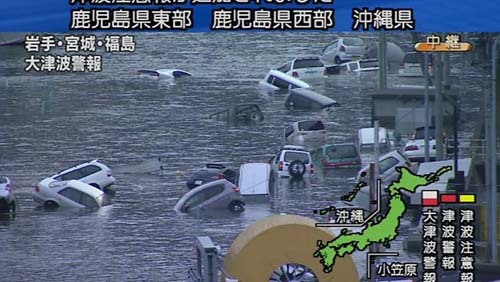 It’s hard to think how this disaster will affect Japan’s economy, and subsequently the world’s economy. My biggest fear is that a man-made, nuclear disaster will overtake the natural one. First, you can donate to the Red Cross by texting REDCROSS” to 90999. This will automatically donate $10, and the charge will appear on your next mobile phone bill (see note below about Red Cross vs Salvation Army, and also DirectRelief.org if you’re uncomfortable with either org’s policies). The Japan America Society of Colorado (and many other organizations across the country) are accepting donations for earthquake and tsunami relief efforts. USTWrap.info is aggregating multiple video livestreams and Twitter feeds in Japanese. Guardian UK Japan Earthquake Coverage has a different perspective than the US mainstream media. The BBC is also worth checking for their coverage. The Nikkei Youth Foundation based in Tokyo has posted an online form looking for volunteers around the world to translate Japanese into multiple languages for relief efforts. Since the beginning, Al Jazeera English has had different, and often more in-depth coverage than the US cable networks. From Facebook, amazing street-level view of tsunami raging through town. Google Crisis Response Page includes Google’s “Person Finder” service and many links. Quick note about the Red Cross (See here: http://www.gizmodo.com.au/2011/03/did-your-donation-really-reach-japan-probably-not/). Red Cross is a good option but there is also the Salvation Army. The org has been in Japan since 1895 so it’s an NGO that understands Japan’s infrastructure, which is really impt. You can also text “Japan” or “Quake” to 80888 to make a $10 donation to the Salvation Army. NGO JEN specializes in post-disaster recovery and redevelopment. AMDA International (emergency medical aid). A reader pointed out on Facebook that if you’re uncomfortable about the policies of either the Red Cross or Salvation Army, this organization seems to be a good alternative: Direct Relief International. The Salvation Army is also taking pre-orders for a t-shirt emblazoned with the Kanji, “Army for Japan“ if you’re a strong supporter of the SA. 100% f proceeds go to the SA’s relief efforts. A Boulder-based startup, SparkRelief, has launched QuakeHousing.com to help coordinate housing efforts (I assume for both displaced victims and relief workers converging in the Northern Japan area). Help Rebuild Japan is a website launched by American Volunteers for International Disaster Support to recruit volunteers to travel to Japan to help in the rebuilding efforts to come. The JACL has launched a DirectAid page to donate to Japanese relief efforts for those who would rather not donate through the Red Cross or Salvation Army. Here’s a new Nikkei View post about the comments some people are making, saying that the disaster in Japan is “payback” for Pearl Harbor. University of Michigan’s Center for Japan Studies has a page of Earthquake and Tsunami Links. Time Out Tokyo has a Live Report blog with the latest news and emergency information that they have. The office of the Japanese Prime Minister Naoto Kan has launched an English-language Twitter account for official statements translated from his Japanese announcements. The Consulate Generals of Japan have posted links on their website (we have a Consul General of Japan in Denver, with a web page for resources) and they recommend donating money directly via Japan Red Cross. Here’s the Japanese Foreign Ministry’s English language website with official announcements and (probably a filtered view of) developments in Japan and what Prime Minister Naoto Kan is doing in response to the disaster. Tagged earthquake, japan, tsunami. Bookmark the permalink. Thanks for the links and the info, Gil. My first thought when I heard about the earthquake was to contact friends and fam I know in Japan to check if they were OK… thank goodness for e-mail & FB, right? Absolutely, Garrett — the Internet makes a huge difference trying to contact people in situations like this. I sent an email to friends in Tokyo and heard back within a couple of hours. Katz definitely should get recognition for his outstanding service to the international community especially for all folks in the US for keeping us informed as it happens. Loved your post. I can totally understand what you’re going through â€” had a rough weekend as well. All we can do now is wait and hope that the nuclear situation will be resolved. NGO JEN specializes in post-disaster recovery and redevelopment. Link: http://bit.ly/ejZHAN. Thanks for this info, Gil. Thank you for putting it in perspective. Thanks so much for this info, Emily — I’ll add it to the post. Thanks, Byron. Pretty intense times. The nuclear piece truly terrifies me. your post is the best thing i’ve read so far on this crisis. your personal experience puts the situation into context for me. as your fellow blogger, i know exactly what it took for you to pull together your thoughts AND add all the useful links. thank for your dedication and passion. Thanks for the suggestion.. I have a few questions due to my own ignorance. The survivors are having a horrific time, as they lack water, food, etc. No one has reported on any aerial drops of basic supplies to areas where the survivors have fled. Are they happening? Is the Japanese Army involved? Are any big corporations that usually shuttle their executives by helicopter, offering any help with that? 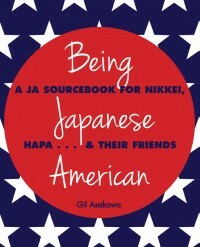 How is relief being organized?Are the Americans based on Okinawa doing anything? Hi CC, I’m afraid I don’t know the answers to your question, except I’m sure the US military from Okinawa is being deployed to help in Northern Japan. I also haven’t seen much about airdrops of supplies, though that’s certainly something I’m sure they’re working on if not already doing. The US media’s finally turning to relief efforts and the humanitarian story, so I bet we’ll see more of that. Maybe our friend Katz from YokosoNews can answer these questions…. DO THE MAXIMUM EFFORT YOU CAN !